Type your ZIM tracking number below, get live delivery information with our express tracking system. ZIM Integrated Shipping Ltd was established in 1945, and has developed into one of the largest, leading carriers in the global container shipping industry. ZIM are committed to providing our clients around the world with reliable, flexible shipping solutions based on expertise gained from over half a century of experience. We cultivate long-term partnerships with our customers to delivering a range of services adapted to meet their specific needs with the ZIM seal of quality. If you have problem with our container tracking system, please track your container directly on the ZIM website. If you get no tracking information from ZIM official website, you’d better contact ZIM. When you ship with ZIM, you will get a ZIM container tracking number with format ZIMU1234567, ZIMU is one of ZIM’s prefix. ZIM has the following prefix: ZIMU, ZCSU, JXLU and ZCLU. 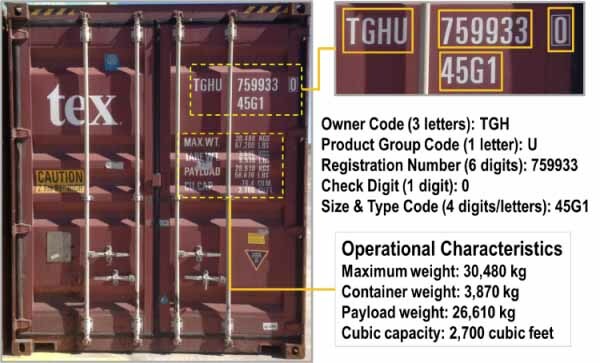 Know more ZIM container tracking number information from below picture. If you have problem with our ZIM Tracking system, submit your problem here, we will help you as soon as possible. Declare: We can NOT contact carrier or others on your behalf, we can only help you track your package with your ZIM tracking number on official tracking system.